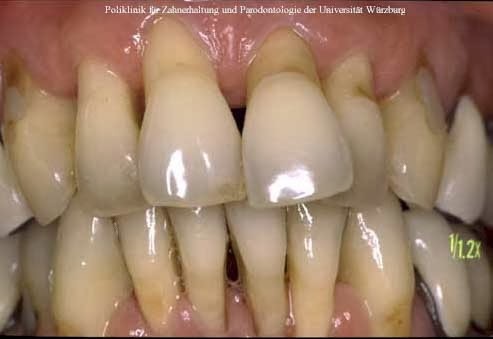 Periodontitis is a group of inflammatory diseases that affect the connective tissue attachment and supporting bone around the teeth. It results from interactions between periodontal microflora and the multifaceted response of the host. Initiation and progression of periodontitis are dependent on the presence of virulent microorganisms capable of causing disease. Although bacteria are initiating agents in periodontitis, host response to the pathogenic infection is critical to disease progression.